The group of high schools students serve on a voluntary basis, exploring the ends-and-outs of local government. Bradshaw intends to unite “our future leaders” with officials from an array of county agencies, including the tax commission, sheriff’s office, clerk of court, and probate office in order to educate the junior board on the inner workings of each division. 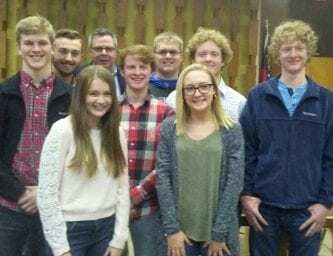 In attendance, and proudly introduced by the commissioner, were: Kendall Floyd, Seth Fullerton, Chase Rogers, Calab Ledford, Wesley Calhoun, Emily Williams, Kaitlyn Crowder, and Trevor Bradley. Not pictured, Taylor Cornett.